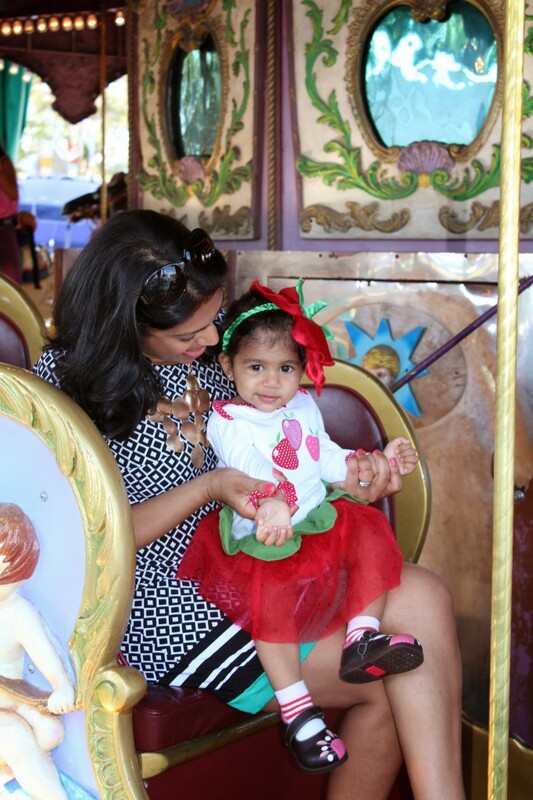 A few weeks ago we had a first birthday party for Super S. After hemming and hawing over it for a while, I finally agreed with my husband that we’d have it at the same amusement park we had her big sister’s first party. I picked a strawberry theme this time and had fun putting together a few personal touches. I loved seeing my little ones (and all the other beloved littles in my life) have a good time. 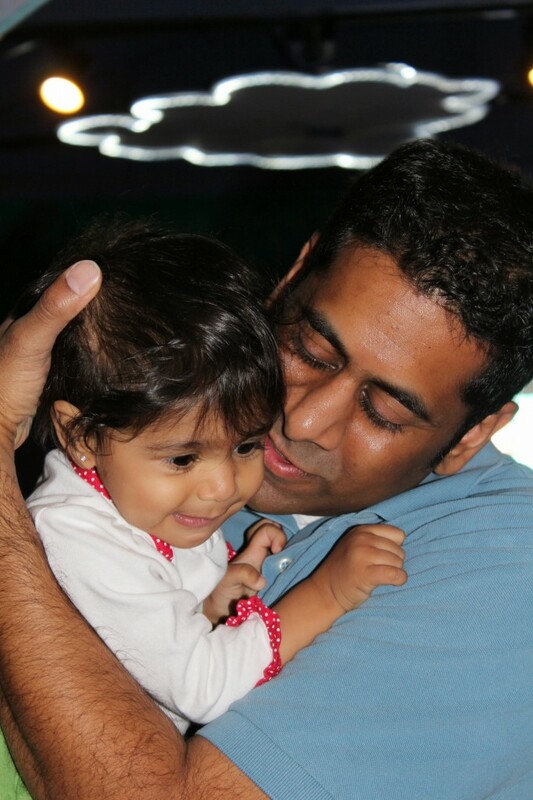 Super S did great – I don’t remember her crying or fussing at all. Amazing. And my sweet little girl had a long day. She played and skipped her usual nap. She was with her grandparents for awhile but when I picked her up, she fell asleep on my shoulder. It was a fun day but that may have been my favorite part. 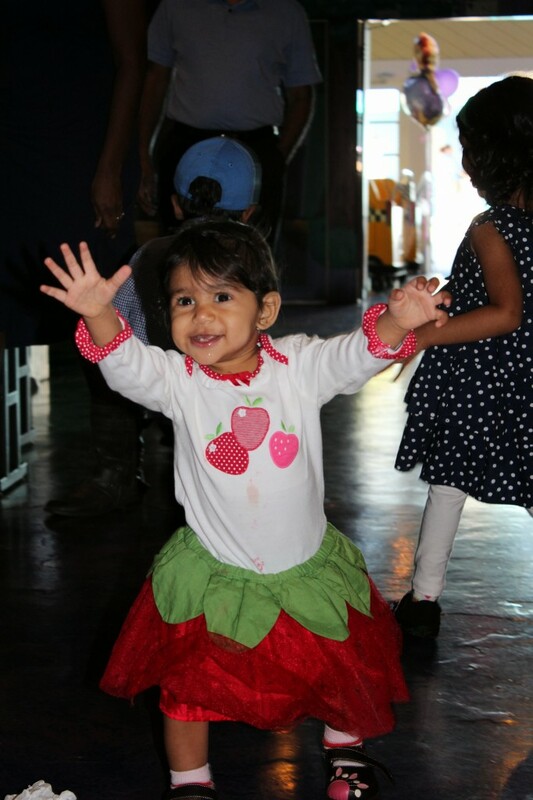 A big thank you to my little sister, Neha, for shooting over 400 pictures of the party. Love ya -thank you! 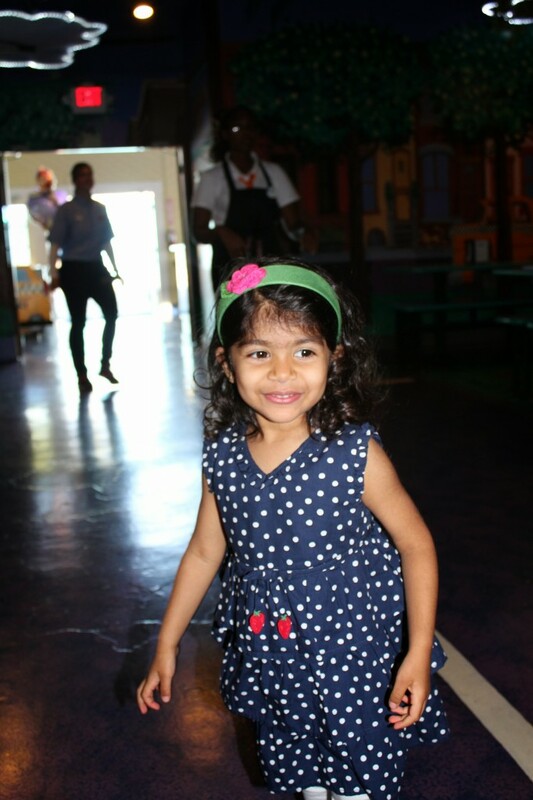 Big sister wore a navy blue/white polka dot dress with strawberry accents, a headband that matched the colors in our theme (red, pink, and green), and strawberry socks. We had a white cake with a light whipped topping layered with strawberries in between (I cheated and just got it from the grocery store bakery). 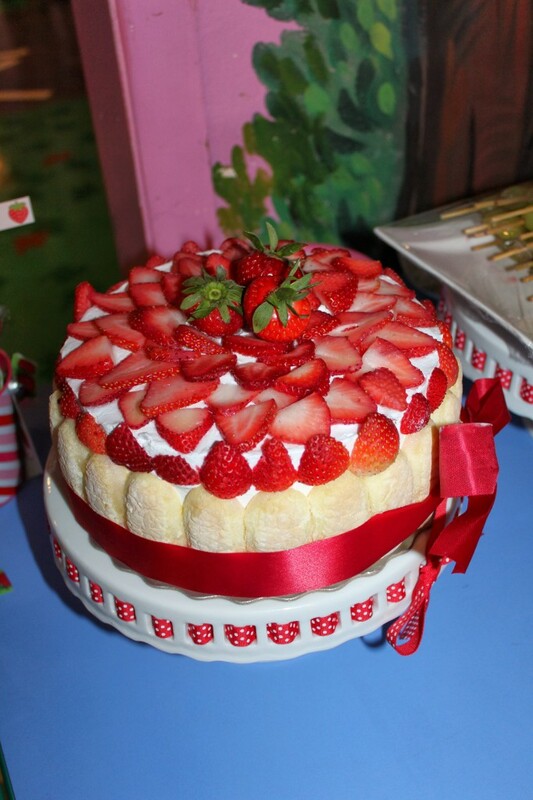 I decorated it with lady fingers tied with a ribbon and fresh strawberries on top. I also baked some decadent chocolate mini bundt cakes and made a Nutella ganache for the top. 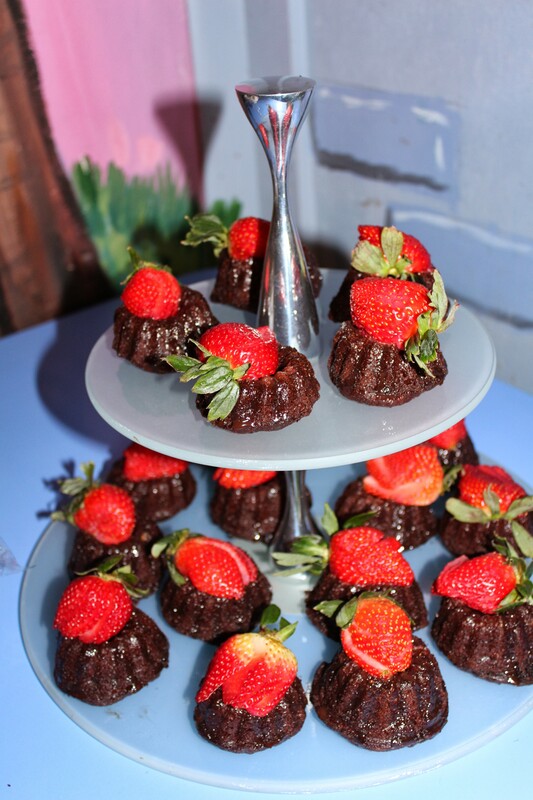 I then topped the bundt cakes with fresh fanned strawberries. Yum. 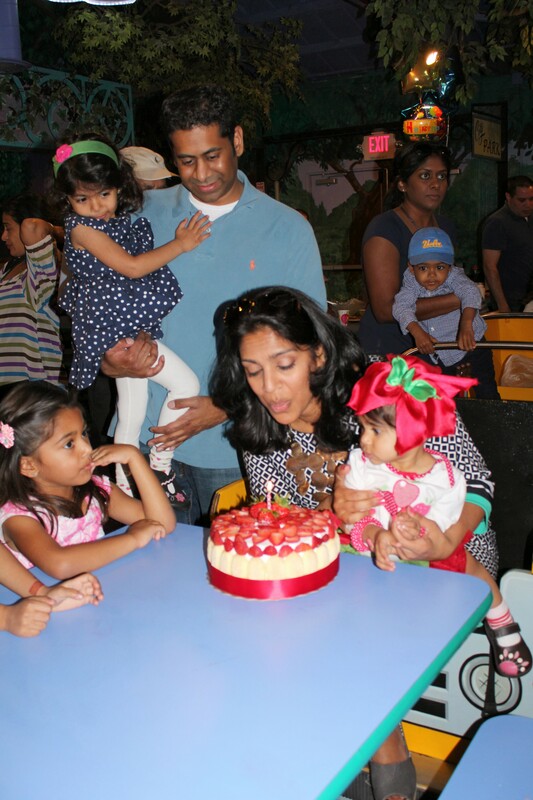 I think baby wants some cake! 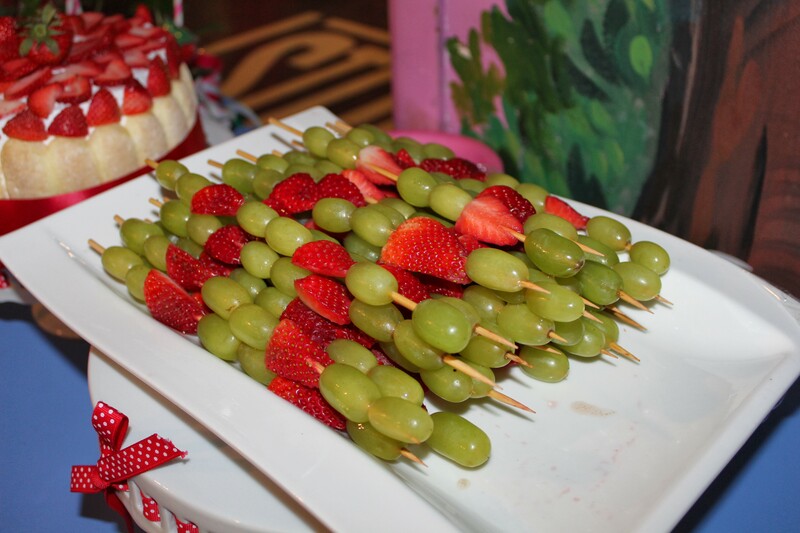 I did some simple skewers with green grapes and more strawberries. As basic as they were, they were a huge hit! The kids all ate them and I actually ran out! I think Daddy wanted to eat the birthday girl. I made a fabric scrap banner and hung it at the party. Instead of doing the bags o’ crap favors I had done for the last two birthday parties we had thrown, I decided to do something a little greener and I’m actually very happy with the way they turned out. 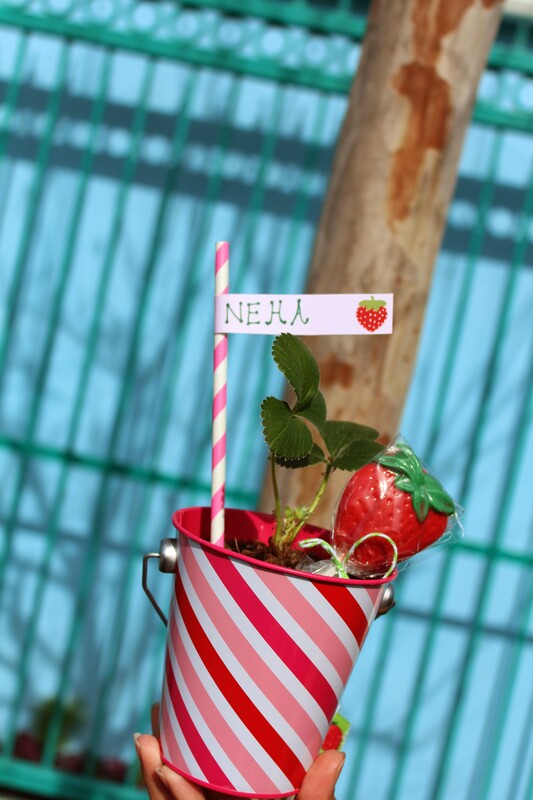 I bought strawberry plants from Home Depot and potted them in these adorable pink and red striped buckets from the dollar spot at Target (we were lucky – Super S’ birthday is right before Valentine’s day). I hand wrote care instructions on the back of printables that I got from designingforpeanuts on Etsy. By the way, she was incredibly fast; I had my printables within 30 minutes of putting in my order. The tags were fastened with some green ribbon with strawberries on it that I picked up from Michaels. 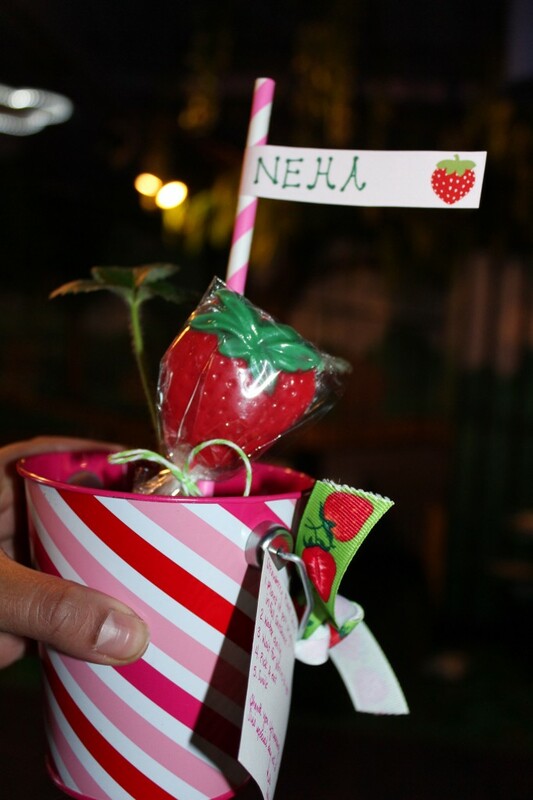 I attached a flag from some free printables I found online to a striped paper straw, also from Bakers Stock, and wrote each guest’s name on it. Stuck that in the pot with the plant. I also made some strawberry shaped lollipops from a mold and candy melts. I’m really happy with the way they turned out, especially since I had never made lollipops before! I wrapped them in cellophane and tied them with with bakers twine in pink/white, red/white and green/white (ya I got these from Bakers Stock too! Can you tell I heart that site???). Apologies to the parents of the guests for all the sugar! 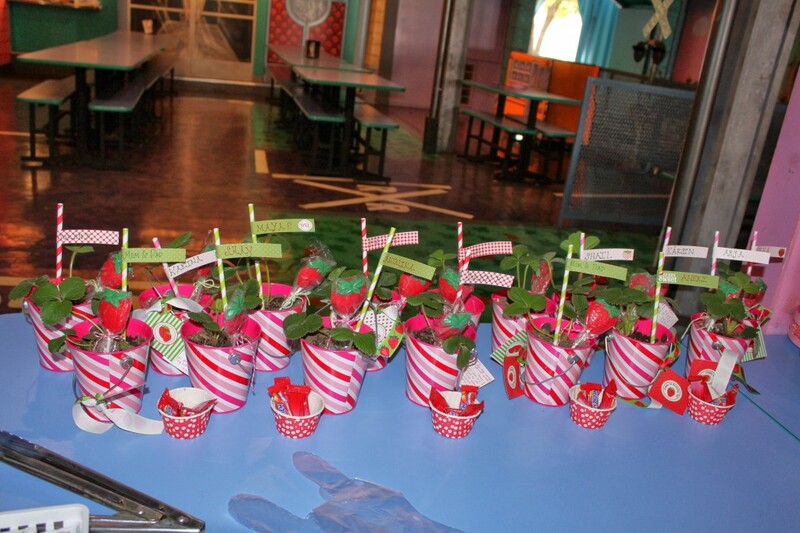 We filled some cupcake liners (also from Bakers Stock) with Strawberry Hi-Chews and put them out on the favors table. I love those! All in all, I’m happy with the way things went. More than anything, though, I’m happy my little girl was happy. 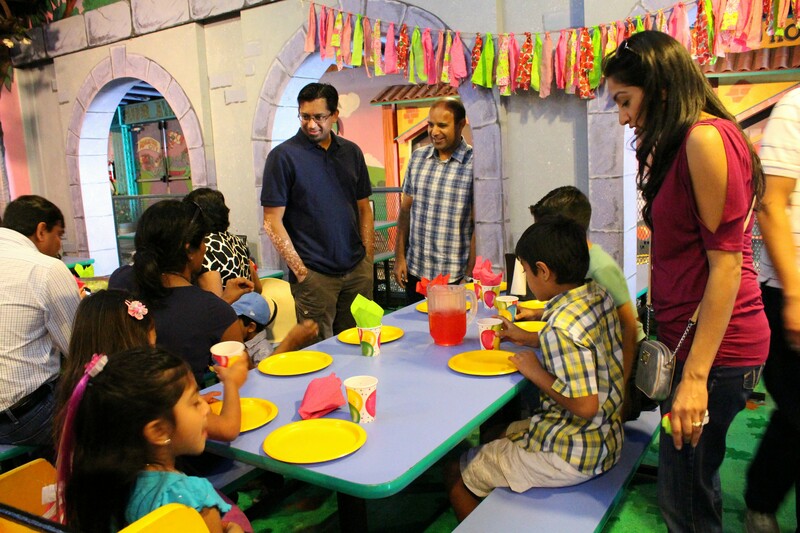 Thanks for coming to my party! 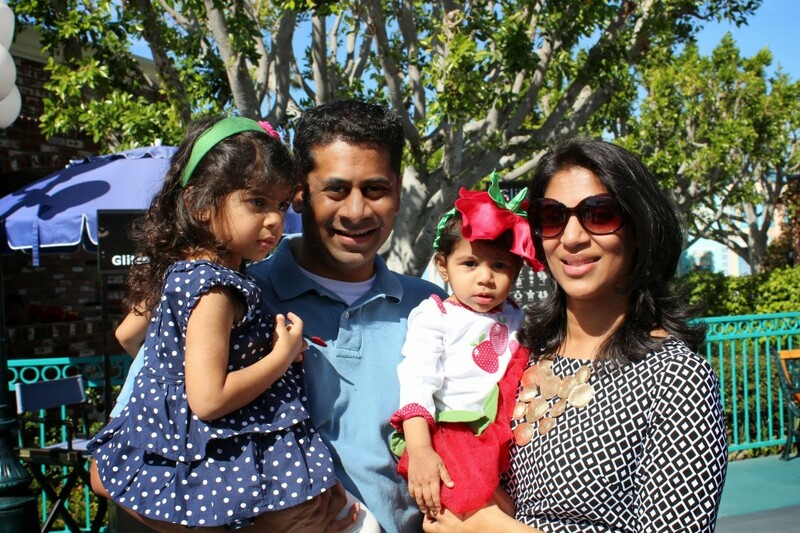 This entry was posted in Parenting by crunchycake. Bookmark the permalink. OMG…I was reading so intensely-like I’m going to make the lollipops right now (I’m not going to make the lollipops right now). What a great party and I love the plants! Very creative Mrs. Nalamwar and such beautiful berry girls! You make me smile. And you never know when you might need to make lollipops. You.Never.Know.